Mental health concerns can present obstacles to achieving a balanced and fulfilling life. 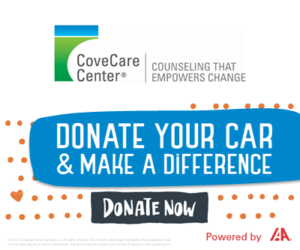 If a mental health condition has begun to interfere with your life, or the life of someone you love, CoveCare Center can help. We provide services for adults, children, families, and seniors. Our highly qualified, professional staff of board-certified psychiatrists, certified clinical social workers, nurses, and peer specialists focus on your whole life. We’ll develop a treatment plan that addresses everything from your mental health and health care to your personal goals and aspirations. Our caring therapists will empower you to achieve a fuller, more satisfying life.